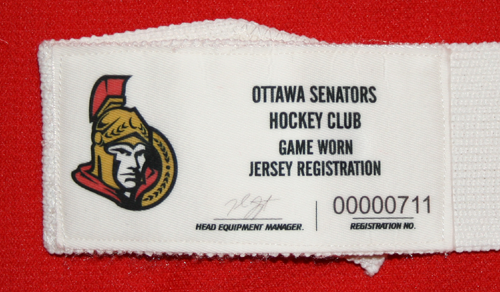 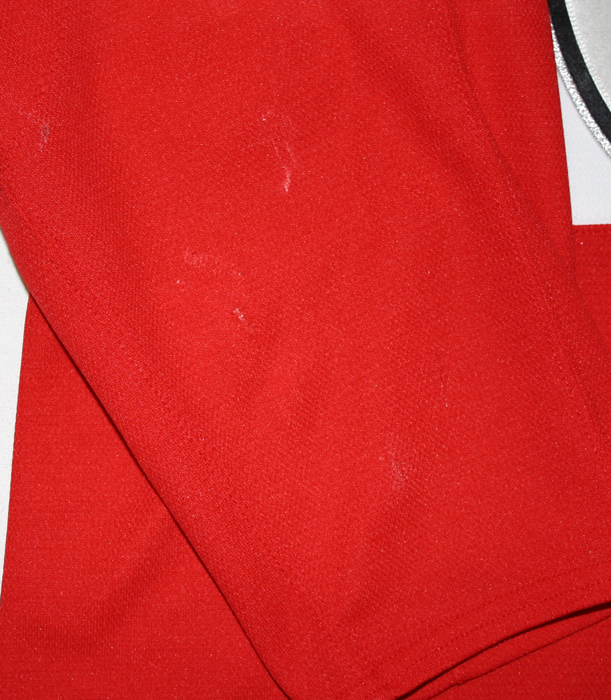 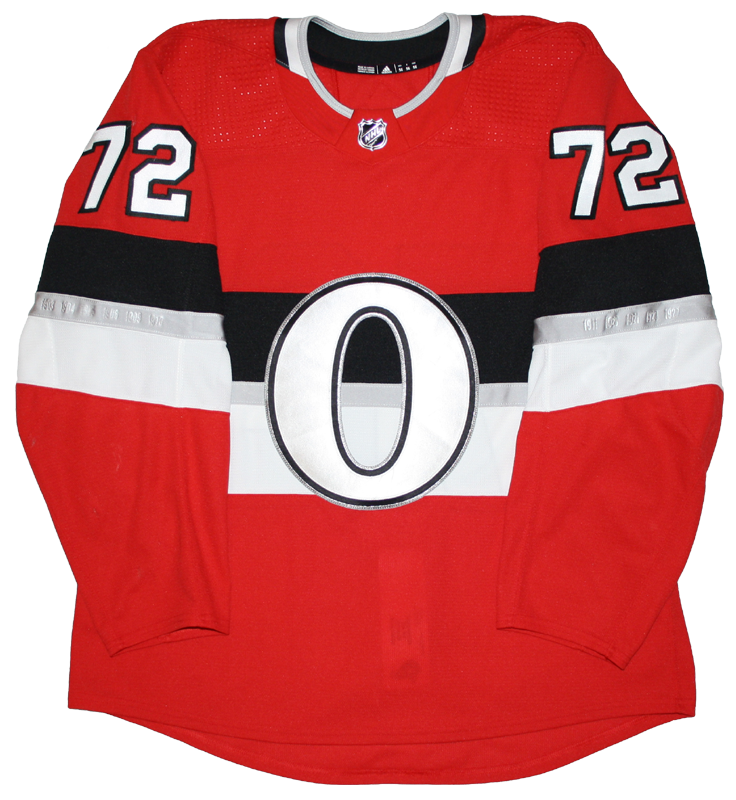 This jersey was worn by Thomas Chabot of the Ottawa Senators during the 2017-18 season. 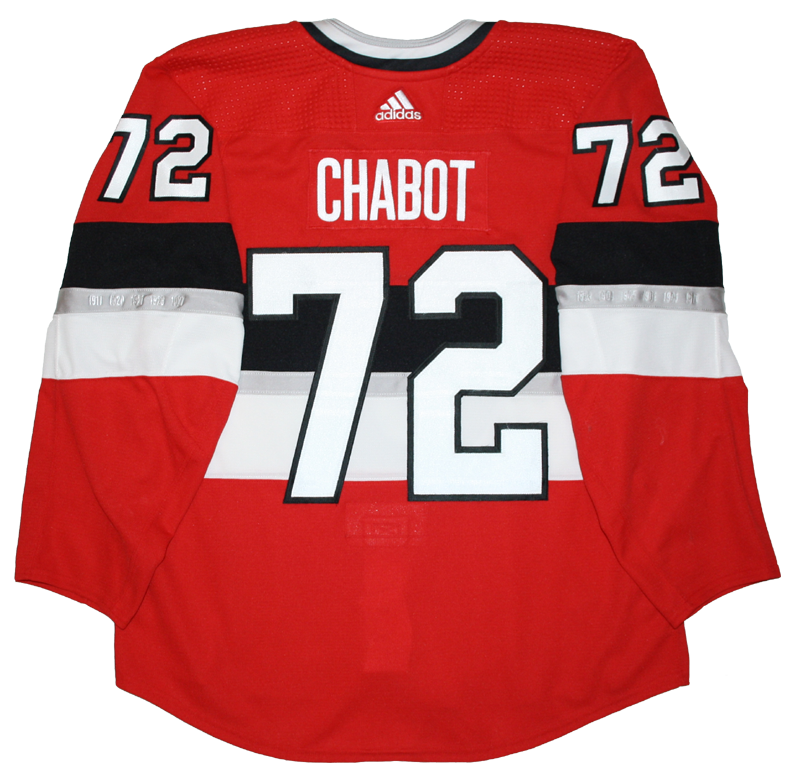 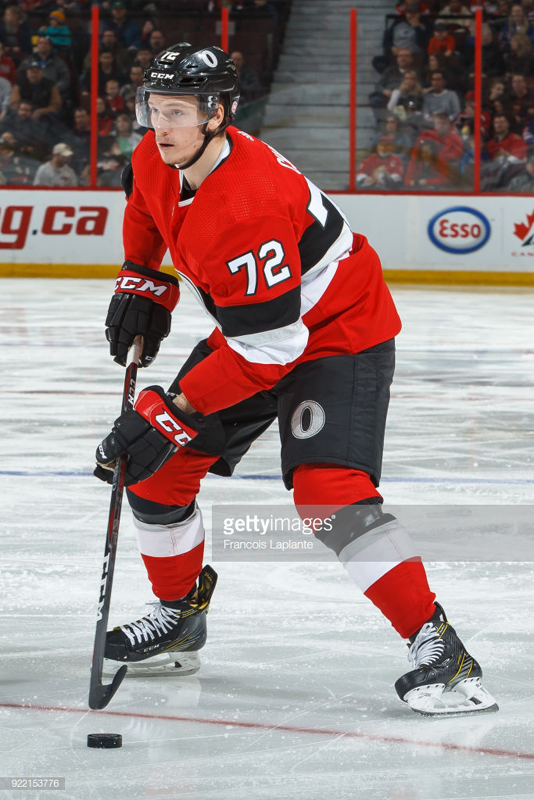 Chabot wore this jersey for three games between February 1 and February 17, 2018. 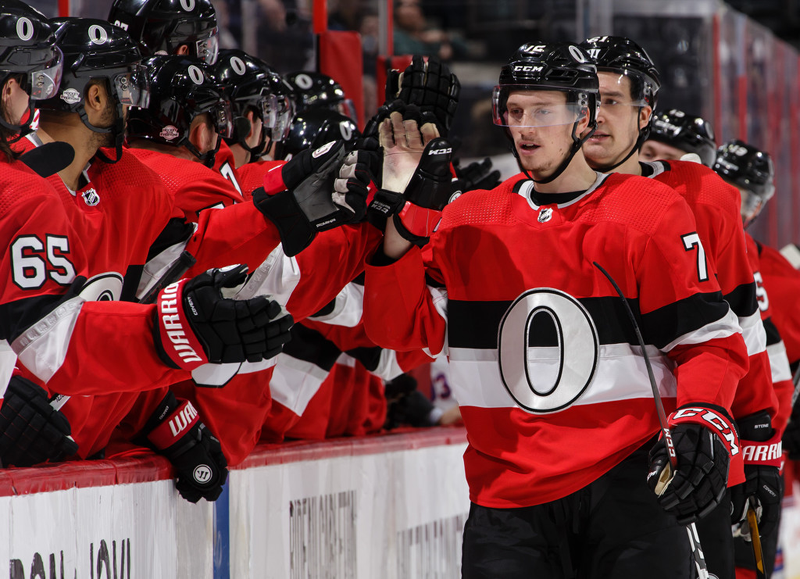 Chabot scored a goal and added two assists over those three games, which were all Ottawa victories.